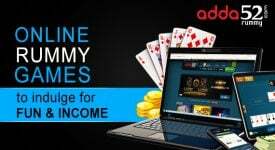 Adda52 Rummy has on offer 15 tournaments and you have a golden opportunity to pocket more money. 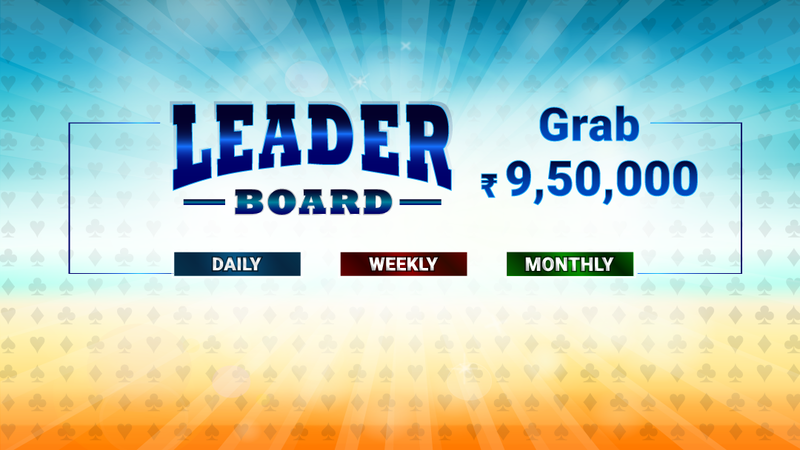 Of course, Leaderboard has the highest offering of Rs 9,50,000 and Republic Tournament offers Rs 5,00,000. Besides, other regular tournaments will keep you busy throughout the month. Adda52Rummy always has something interesting to offer for its players. Marquee event is Republic Tournament as the country is celebrating 70th Republic Day on January 26 and the finale is scheduled at 12 noon on that day. Well, satellites have already started and some lucky ones have made it to the finale. More are joining the club daily with a buy-in of just Rs 100. As in most important tournaments, you can be in the finale even minutes before it starts. For this tournament, you will have to pay Rs 1,000. Another popular tournament is Leaderboard and it is already into 2nd week. Money is more than last month. You need to play on high stakes tables to move up and see more money being credited into your account. The event would conclude by the end of the month. Now, Mondays and Wednesdays are power-packed on adda52rummy with Power Fest tournament carrying a prize pool of Rs 4,50,000. Join the 13-card tournament at 12 noon by paying Rs 300. Next in terms of prize pool is 10K Rummy Race with an offer of Rs 3,10,000. Be part of the event every day with a buy-in of Rs 50 and play with the best at 330 pm. 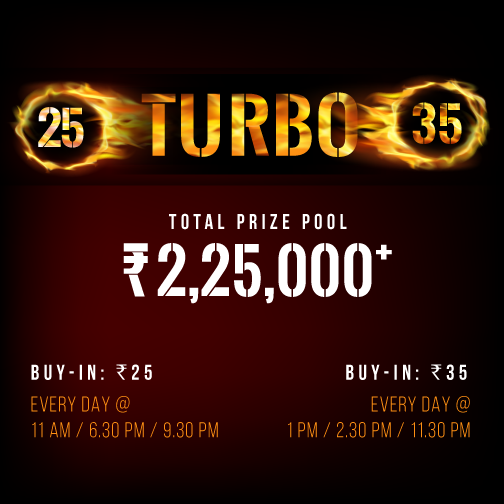 Turbo tournaments are too exciting for players and the total prize pool Rs 2,25,000. It has two variants—Turbo 25 and Turbo 35. The first one is played at 11 am, 6.30 pm and 9.30 pm and has entry fee of Rs 25 and daily prize pool is Rs 1,000. The second with a prize pool of Rs 1,500 can be played at 1pm, 2.30 pm and 11.30 pm with a buy-in of Rs 35. You can make your Sunday more enjoyable and still earn money by competing in Super Sundays. Spend Rs 250 and join the tournament at 12 noon. The prize pool this month is Rs 1,00,000. Every week Rs 25,000 will be on offer. Rummy Nights is also an interesting one to make some good money. It will commence at 9pm every day and you can be part of it with a buy-in of Rs 50. Real cash pool per tournament is Rs 4,000 and total prize pool is Rs 1,20,000. You will never be short of tournaments on adda52 rummy. The platform offers plenty of opportunities to keep your competitive spirit alive. On Fridays, you can be part of Golden Friday Tournament with a prize pool of Rs 70,000. On every Friday, you can play with a buy of Rs 85 and re-buy option of Rs 100 and on offer is Rs 15,000. The Mega Friday on January 25 has more on offer—Rs 25,000. The 13-card game will begin at 930 PM and buy-in and rebuy are Rs 150. 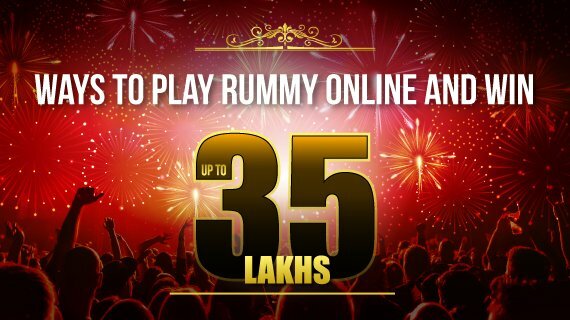 Other rummy events that will keep players busy are Happy Hours, Daily Jackpot, Welcome Bonus package, Rummy Gladiator, Rummy Rush and Rummy Nights. All offer you good money. Join and win money.